The headband features stitched detailing and lines the headband edge to edge to ensure maximum comfort. 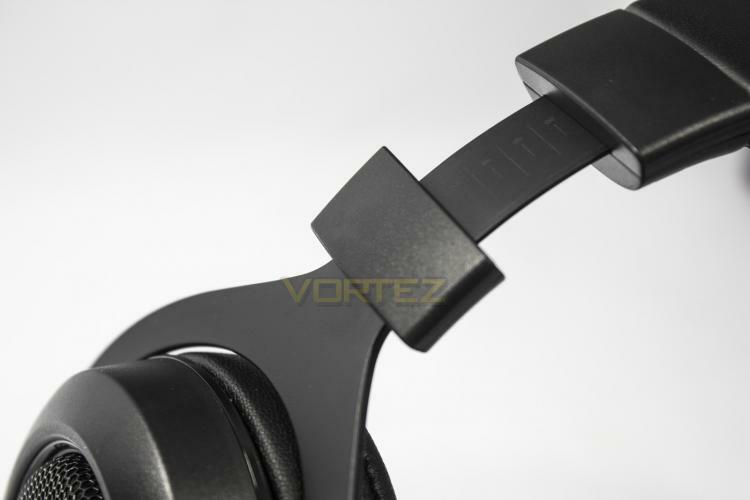 The adjustment strap clicks smoothly, but firmly in increments and is lined with metal and plastic. 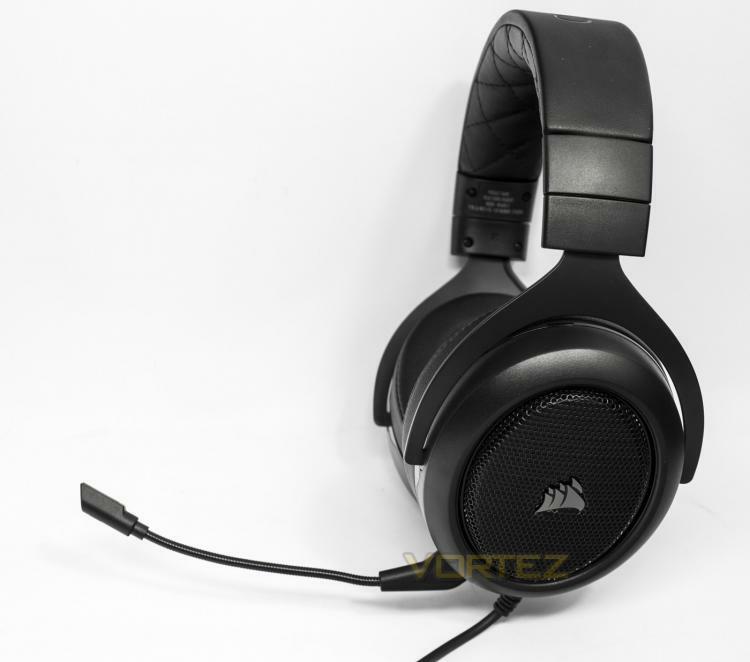 Corsair have used large oval shaped memory foam earpads that give excellent space and coverage for your ears while providing good passive noise cancellation and isolation. 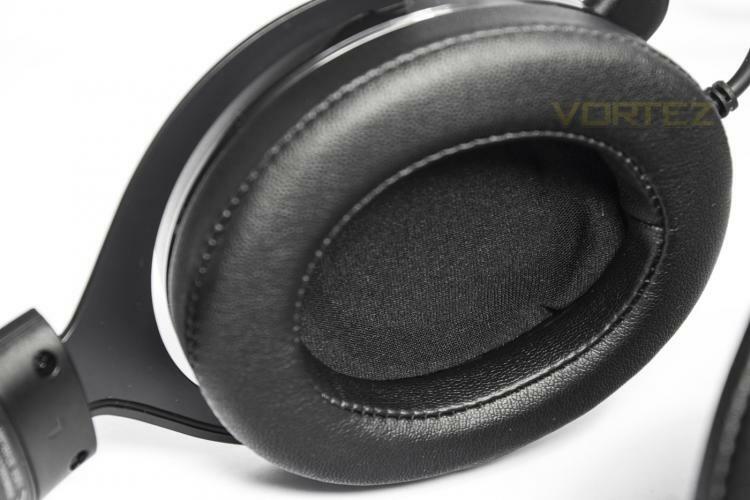 On the lower left of the image you will see that the cable has been channelled through the metal, creating a high quality, discrete aesthetic that will also protect the cable from snagging, as opposed to the solution found in other headsets where the cable is exposed. 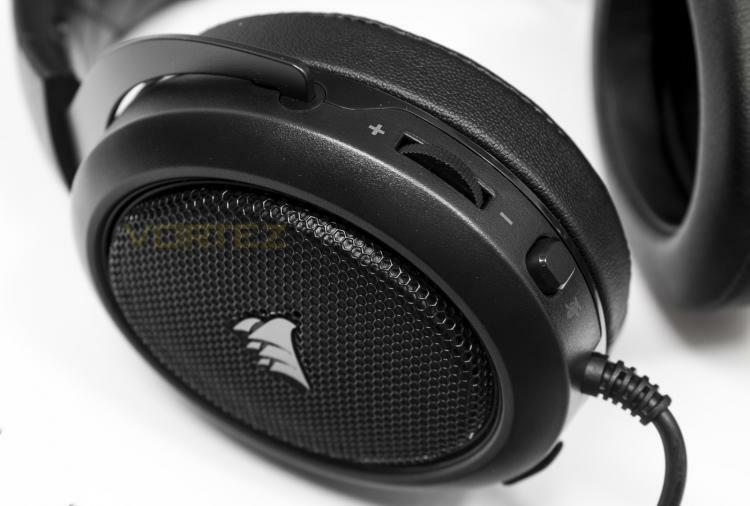 on the sides of the earcups you will find a metal mesh with the Corsair logo in the middle. 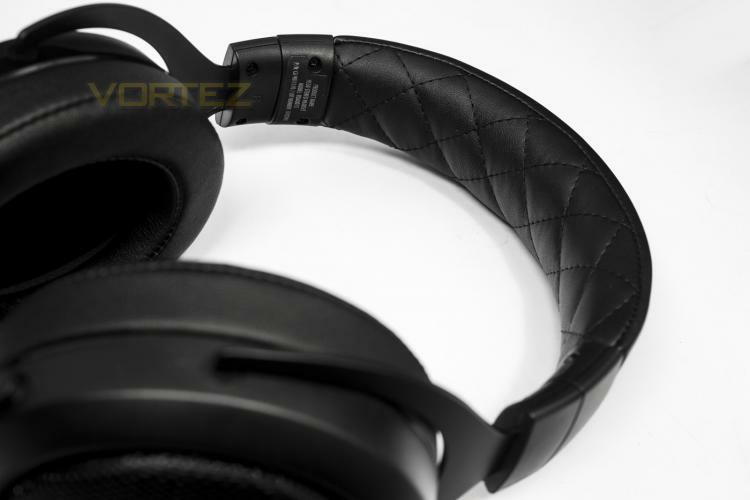 This gives a high-quality, durable finish that looks sleek. 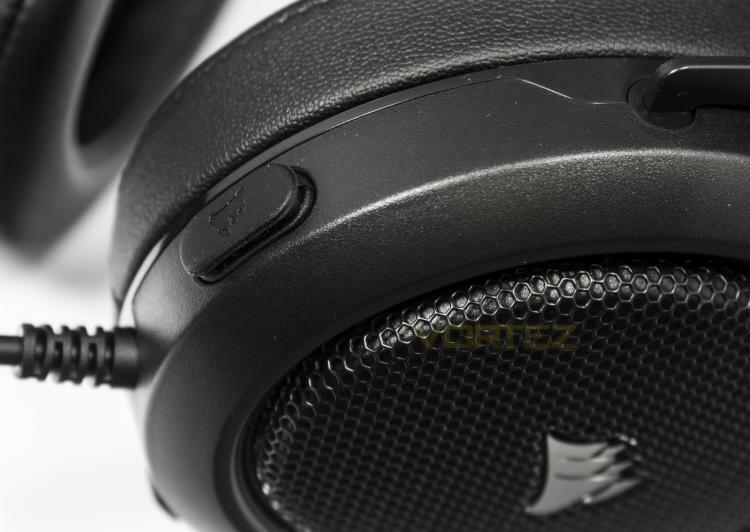 Sitting at the lower rear side of the left earcup you will find the volume dial and mute switch, while at the front you will find the port for the detachable microphone. The port has a handy dustcap that will keep the aesthetic looking neat in situations where you may not want to use the microphone. 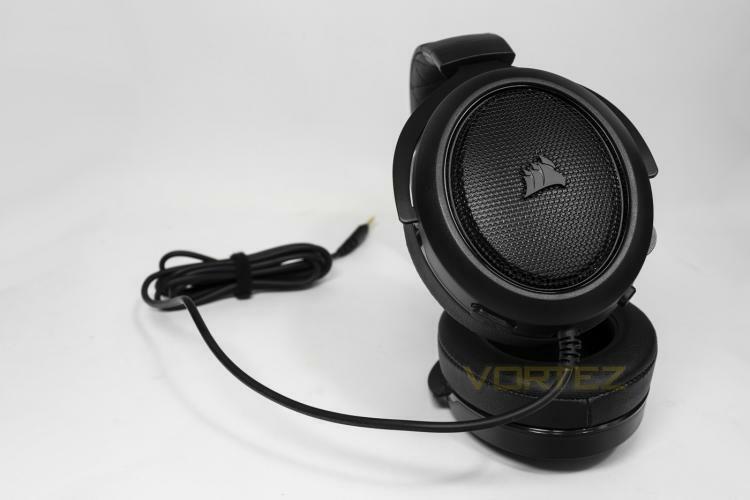 Even with the microphone attached, the HS50 looks elegant and professional, certainly a headset that leaves a lasting impression at this price point.